Who Knew there was a National Runners Day? So, yesterday was National Runners Day. Before this year, I never knew such a thing existed. It was fun yesterday to watch as fellow runners shared what they did to celebrate the day. I got so caught up in reading about what everyone else was doing that I didn’t have the time to share what I did. So, even though I’m a day late, here is what I did yesterday in honor of this day that celebrates the sport which I am now I am involved. Over the past few weeks, I’ve been finishing up my registrations for the races I have planned on for the rest of 2013. It started with registering for the 10K race that’s part of the Pasadena Marathon. In an earlier post, I mentioned how they are not doing a full marathon this year because the city of Pasadena denied them the opportunity to put on a full marathon. So, this year, they will be only doing a half marathon, 10K, 5K, and kids races. Last year’s 5K still stands as my 5K PR. So, I’m hoping that this year’s 10K will become my new 10K PR. On June 30th, I’ll find out. Another race that I registered for, is the Awesome 80’s Run in Pasadena (again). 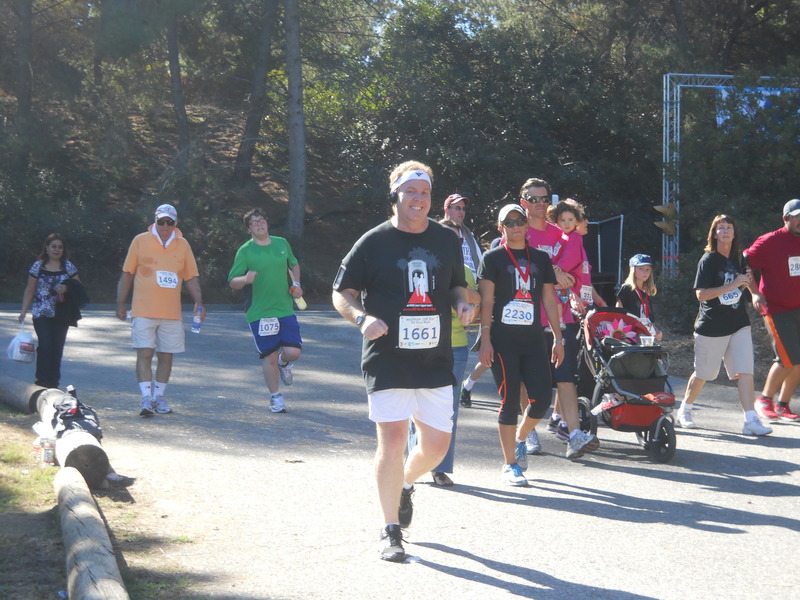 This is a 5K race that runs around the world-famous Rose Bowl. I’m running this race with my wife on August 24th (one week before the Disneyland Half Marathon). It should be a lot of fun. I had a friend who ran in last year’s Awesome 80’s Run. From what I saw in the pics, it looked like a super fun event! I mean, who doesn’t love the 80’s? 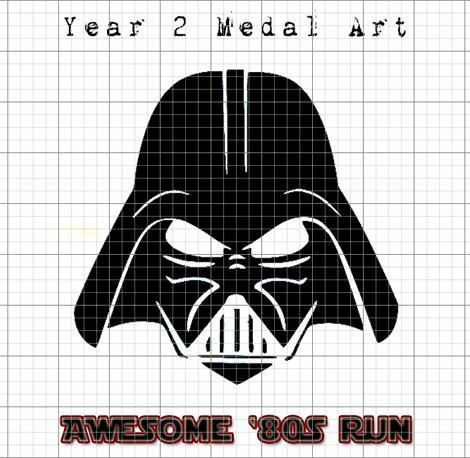 Plus, this years finishers medal has a Darth Vader mask on it. The Star Wars geek in me can’t wait to add this medal to my collection! The next race that I registered for is the 5K that goes with the Long Beach Marathon. It’s official title is the Run Forrest Run 5K. My wife and I are running this race with our friends who we ran with at the Knott’s Berry Farm Coaster 5K Run back in March. I grew up in Lakewood, which is a neighboring town to Long Beach. So, it’s like running on my home turf. 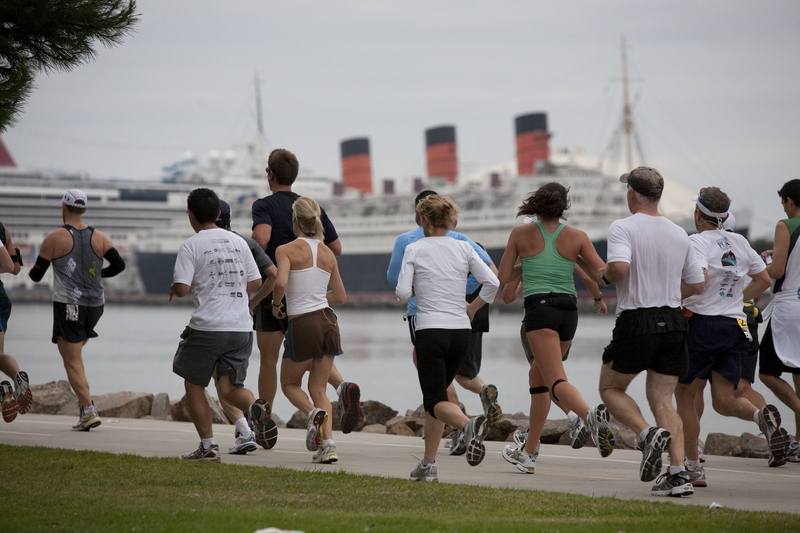 Plus the run goes around Shoreline Village with a great view of the Queen Mary. So, the setting for the race will be awesome! That race is on October 13th. That brings me to my first activity of note for National Runners Day. 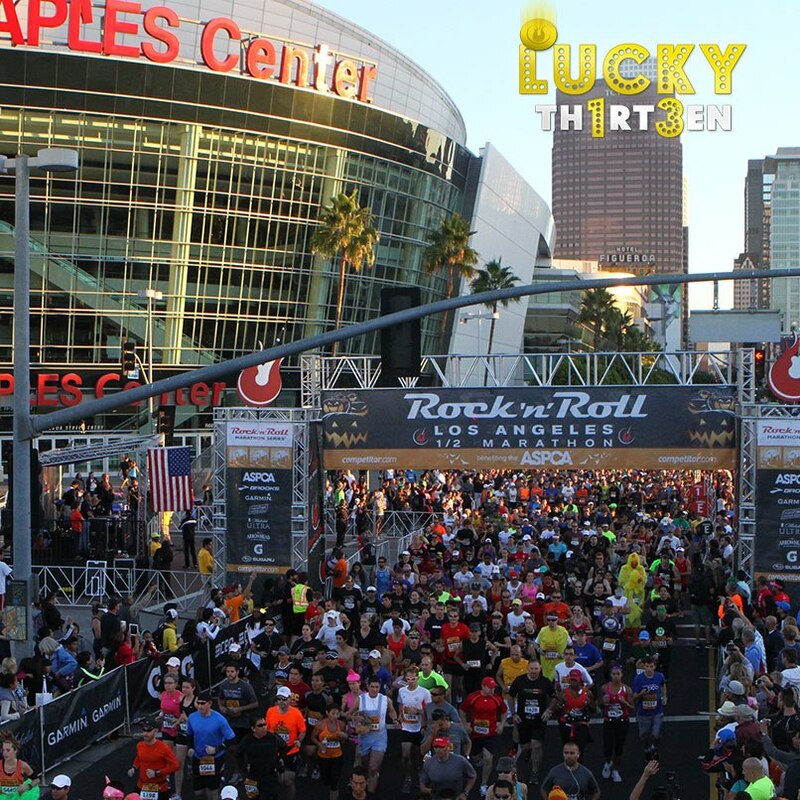 I took advantage of the $20 off that the Rock ‘n’ Roll series of races were offering and registered for the Rock ‘n’ Roll Half Marathon in Los Angeles on October 28th. I’m really excited about this race for several reasons. First, it will be my first non-Disney half marathon. So, it will be interesting to see how this Rock ‘n’ Roll series works. I’ve read various reports on them. Some good, some bad. On October 28th, I’ll find out first hand. Secondly, this half marathon comes roughly half way through my training for the Walt Disney World Marathon. When I watched “Spirit of the Marathon,” the runners they followed had a half marathon at the half way point of their training. So, I’m just following what I saw them do. Finally, this race will be the final one I can use my time on for placement at the Walt Disney World Marathon. So, if it becomes a half marathon PR, I can submit that time and it could improve my placing for the marathon. With the $20 off sale yesterday, my registration cost was $75! Think about that. The 10K races that runDisney puts on cost $95 and I’m registered for a half marathon for $20 less. Crazy! On my training plan, I was supposed to do a gym workout yesterday. However, my boss had a project I needed to finish that he gave me at 5pm (1 hour before the end of my work day). So, I didn’t get to eat dinner at work before leaving. That meant, I would not be able to get out the door for my workout as early as I would like for a gym workout. Now, I had contemplated switching my gym workout with a run on this day anyways (because it was National Runners Day). So, with the surprise project at work, I thought that my decision was made for me. I went on another 5K training run last night and had a great run! The 5K I ran on Tuesday wasn’t nearly as good of a time because I hit nearly every red light on my path (including one light that stayed red for 2 minutes…no joke). I was really happy with making most of the traffic lights last night. It made my finish time so much faster! As the year progresses, I’m truly starting to feel like a runner. This community of runners is amazing! It’s fun to go on training runs! I love passing other runners and having that smile and nod of the head that says, “Good job! Keep going!” As fun as training runs are becoming, there is nothing like the races those training runs are geared towards. Those races are the best and sooooooooo much fun! I can’t wait until June 30th when I get to be in a race again!